The PROFIsafe module from NORD DRIVESYSTEMS fulfils the most stringent safety requirements and ensures secure communication in PROFINET environments. 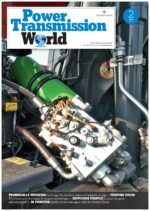 Functional safety of plant and machinery is of vital importance in production. 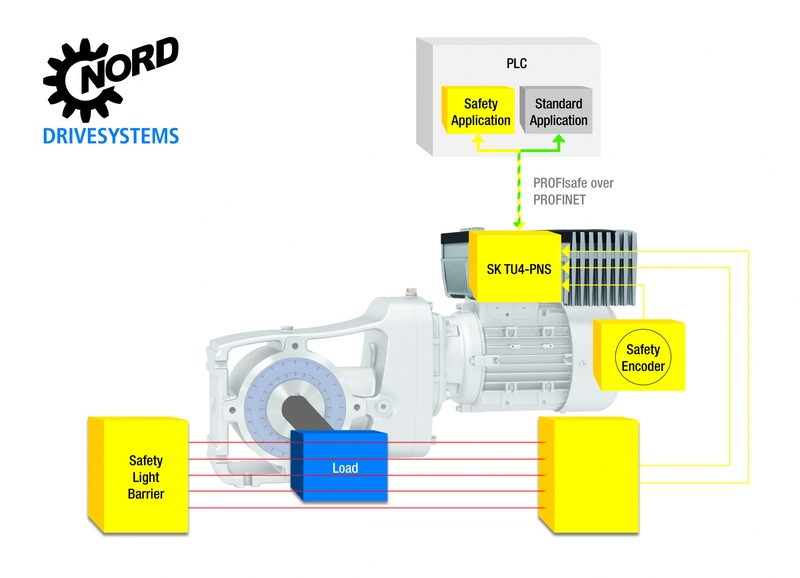 With the SK TU4-PNS PROFIsafe interface module, NORD DRIVESYSTEMS provides even greater safety. The optional module meets the most stringent safety requirements, enables flexible integration of various safety components and ensures secure communication in PROFINET environments. PROFIsafe is the world’s leading and generally used technology for safety applications for production and process automation. With SIL3 and PLe (Performance Level e) Category 4, the fail-safe communication protocol fulfils the most stringent safety requirements. In combination with a safety PLC, the drive electronics reliably communicate via PROFIsafe in PROFINET. Safe inputs and outputs, for example for emergency stop switches and light barriers, can be connected to the application with plug connectors. A rotary encoder can be connected to supervise the safe drive function. The module is equipped with two redundantly operating microprocessors and is self-monitoring. Various safe movement functions can be easily integrated and therefore extend the safety stop functions of the drive units: SLS (Safety Limited Speed), SSR (Safe Speed Range), SDI (Safe Direction), SOS (Safe Operation Stop) and SSM (Safe Speed Monitor). With this, the PROFIsafe module provides comprehensive safety for the reliable operation of plant and machinery. The module is suitable both for control cabinet installation as well as decentralised installation and is available for the NORDAC LINK, NORDAC FLEX and NORDAC PRO inverter series.